On Saturday the 15th of February NGHTDVSN reunites with their beloved warehouse at Amsterdam Roest. 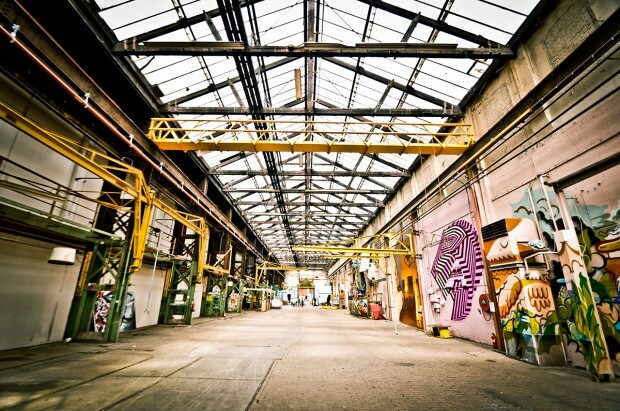 This stunning venue is arguably one of Amsterdam’s most atmospheric warehouses with an amazing raw industrial feel to it. Catch up with NGHTDVSN, bringing the best of cutting-edge and innovative music. We’ve gotten to know him as a loyal resident to NGHTDVSN: Max Cooper. He’s been featured as one of Resident Advisor’s top live acts of 2013, again. You can basically call him one of the greatest new talents to emerge in the dance scene the last few years. This time around he’ll dive into his own material for a live-set of his emotion-driven electronica. Another familiar face is Gabriel Ananda, who also played at the last edition of NGHTDVSN during ADE 2013 and absolutely killed the dance floor. Both residents Terry Toner and Some Chemistry will provide the much needed dose of local support, as always. Egbert, one of the most promising Dutch talents within the field of electronic dance music, will be joining in on the fun and adding a delicate touch of techno into the mix. Also, expect a proper live performance by one of my all-time favourite producers, John Tejada. Last time we saw him around was during Next Monday’s Hangover Festival where showed the crowd how a real analogue live set is done, without a laptop. As if that wasn’t enough, Isolee and Ripperton will be in the house for the deeper side of the story on this night. New NGHTDVSN faces in the local department include Ici Sans Merci and Milan Meyberg.